If you’re looking for excellent service and a people-friendly approach, then you’ve come to the right place. At Berlack Heating & Air Conditioning, our ultimate goal is to serve you and make your experience a pleasant one, and our team will stop at nothing to ensure that you come away more than satisfied. No matter the issue, we can diagnose, repair and / or replace virtually any element within your HVAC system. With our special camera imaging systems, we will even show you the problems with your unit if it needs to be condemned and replaced. You can put your trust in us. 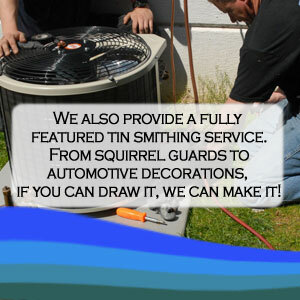 When installing new HVAC systems, our experienced team of technicians can handle virtually anything. We’ve been in business since 1934, so if you’re in need of an HVAC contractor that you can put your trust in, look no further than Berlack Heating & Air Conditioning. We provide free estimates on all of our work, as well as a variety of flexible financing options. Ask your technician for details!